Getting out of debt is not that tough! Many of us have found ourselves in a tricky financial circumstance at one time or another. Many of us have found ourselves in a tricky financial circumstance at one time or another. Fortunately, there are ways to recover from these situations, so it is important to know how to get out of debt fast. If you find yourself wondering, “How do you get out of debt?” you may want to consider credit counseling. Select an organization that specializes in credit counseling and review your budget with them. This can be a free service, and the professional that you meet with can help you to determine if a debt management plan might be able to help you recover from debt faster. If you enroll in one of these plans, the issuers of your credit cards may be likely to reduce your overall interest rate. You might then make one payment per month to the credit counseling agency, and the agency then pays your creditors. One strategy for getting out of debt is to consolidate, if you are able. By consolidating your debts, you will get a new loan that you can use to pay off the other debts. This can be done through the use of a new personal loan, a balance transfer, or a low rate credit card. You will then need to pay off your new loan as fast as possible. Consolidation is a good idea if you are able to reduce your interest rate significantly and if you have the means to pay off the new loan in three or fewer years. If the balances of your loans are so high that you don’t feel that you can pay them off in five years, it may be in your best interest to try to come up with a settlement negotiation with your creditor. This may also be a good option if your debt is so significant that it has been handed off to collections. This approach will give the collector or creditor the ability to agree to take less money than is owed on the full balance in order to have the debt satisfied. To make this option work, you will typically need to have 30-50% of the total amount that you owe to settle the debts in a short time period, usually less than two years. You may also want to talk with an attorney to first determine if bankruptcy could be a better option, and you should determine whether you might owe taxes on debt that is cancelled. Filing for bankruptcy can eliminate all or most of your debts quite quickly. With a Chapter 7 bankruptcy, they will be eliminated almost instantly, while a Chapter 13 bankruptcy may take up to five years. If you are being harassed with lawsuits to collect your debts, or if your income is reduced to a point in which you are unable to make payments, consult with a bankruptcy attorney. Ask your financial advisor or banking professional for a referral, and when you meet with the attorney, bring in all necessary documentation. Be honest about your financial situation, and be sure to start this process early and not after you have already been sued or your retirement account has been depleted. You may be thinking, “My situation isn’t that bad. I only have a few credit cards that need to be paid off. So, how do I get out of debt?” You don’t always need outside assistance or intervention. The simple solution is to create your own debt reduction plan in order to pay off your debt as quickly as possible. To do this, you can take one of two approaches. When using the first approach, you first pay off the debt with the highest interest rate. When using the second approach, you pay off the account that has the smallest balance first. In both cases, after the first debt is paid in full you will then use the money that was put toward that debt to pay extra on your other debts. These strategies will only work if you are committed and can stop yourself from taking on new debt while you are working to pay off your current debts. Always remember, too, that you must continue making the minimum payments on your other debts, as well. 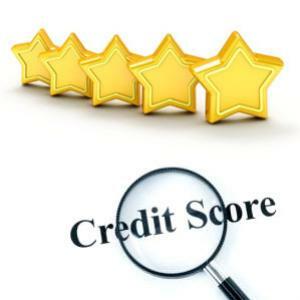 Before doing any of the above, however, it is important to, first, check your credit report. This will help you to know your financial status and will provide a listing of all your current debt. You are entitled to a free credit check once per year through each of the three main credit reporting agencies in the U.S: Experian, Equifax, and TransUnion. Once you know exactly what you’re up against, you will be better able to plan how to get out of debt. We have all gotten into a difficult financial situation at one point in our lives, but luckily, there are ways to recover. By better understanding how to get out of debt quickly, you can get back to living your life debt-free.